These convenient zipper ring pulls are designed to make clothing, purses and jackets easier to zip for those with arthritis or limited hand dexterity. Three ring pulls are included per order. ASSISTS PEOPLE WITH ARTHRITIS OR LIMITED HAND DEXTERITY. 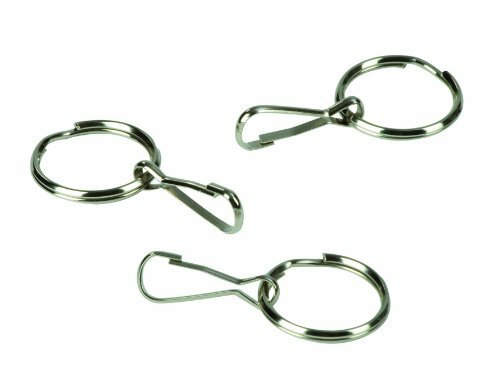 These zipper ring pulls are specially designed to make zipping up everyday items much easier for those with limited hand strength. VERY EASY TO ATTACH. Perfect for you and your loved ones.